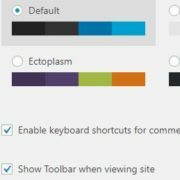 By default, the comments on every page of the WordPress is enabled; when you set up a new WordPress website or blog. And it is a good thing because if you are creating lots of blog post then it is difficult to enable WordPress comments box every time on posts. But what happens if you don’t need the comments on your blog posts or you just want to disable the comments on the WordPress because of spammy comments. 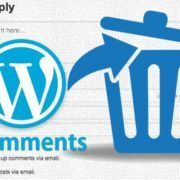 Disabling comments is not just a need for the blog but also for those want to create a professional or business website on WordPress, where nobody wants a comments box. Furthermore, you can also disable the comments on selected pages or blog post or only on posts but not on pages of your website. In this tutorial, we will show you how to turn off or disable the comments in WordPress partially or completely on post and pages. First all go to Plugins -> Add new and install a plugin called No Page comment. 1. After installing and activating the plugin, go to Settings and click on No Page Comment to configure it. 2. From the No page comment configuration window if you want to disable the comments on only pages then check the comments and trackbacks boxes, given next to it. In the same way for posts and other things. After selecting, just click on the Update Settings button. 3. If you want to disable all previous comments as well as on your future post or pages then you can use the section called Modify all current. In this section you can enable and disable both comments and trackbacks. For example to turn off all the comments on pages just click on the button “Disable All comments” and in future if you want to turn on them again click on “Enable All comments” button. And the same for Trackbacks, “Disable All Trackbacks” to turn off and “Enable All Trackbacks” to turn on. If you didn’t like the above method that uses a plugin then look at this one. This method can turn off the comments from all your existing and upcoming posts in just a few clicks. Now after disabling this option, from now onwards whatever post you are going to publish will not show the comment section. But what about the previous posts and pages those are already published for them move to the next step. Step 2: To disable all previous comments on posts and pages, select the Posts -> All pages. Step 3: Now from Screen options-> pagination change the number of items per page. 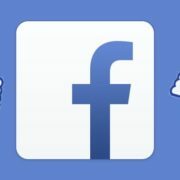 Enter the number of posts you have on your website and click Apply. 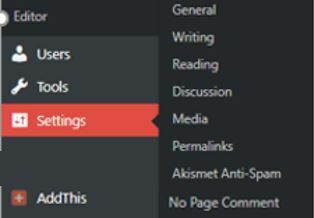 Step 4: Click on All to display all posts and then tick box front of the Title text which selects all posts and pages. Step 5: Click the Under bulk actions and select Edit and click on Apply. Step 6: From the right side choose “do not allow” next to comments and click on Update. For reference see the screenshot. Even after disabling all WordPress comments on posts and pages, if in case you need a comment section on some particular post or page you can enable it without enabling all comments. 1. Open that post or page in the post editor where you want to enable the comments, now go to the top of the post editor screen and click on the Screen options just given left to help option. When you click on the screen option a drop down box with a list of options will appear. From those options select the Discussion box. 2. After checking and enabling the discussion box scroll down at the end of the post editor text box where you will find a meta Discussion box. 3. In the Discussion box, you will see two option one is Allow comments and second is Allow tracks and pingbacks on this page. 4. If you want to enable the WordPress comments on that particular page or post just select the box of Allow comments.